Student Ambassador applications for 2018/19 are now open! If you need some convincing, hear from Aris and his Student Ambassador experiences in this blog. As the academic year ends and I prepare to leave London to return to Cameroon, I find it fitting to reflect on my experience as a Student Ambassador for Loughborough University London. The call to apply for the Student Ambassador position was launched by the University back in October 2017, and from the information on the website, it looked like a perfect opportunity. Therefore, I decided to apply and, fortunately, I was successful! The first experience I had in representing the University as a Student Ambassador, also being one of the most exciting events for me, was the Work Tech 2017 conference held in November 2017 at Here East. This brought together the world’s biggest tech companies to a single event where business ventures were sealed. Our University showcased its academic offer as they fit to industry needs. 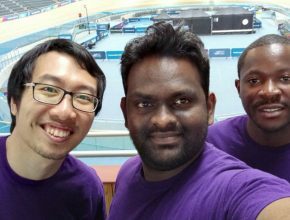 Another favourable event that I was involved in as a Student Ambassador was the Spin Lab Demo day event, which took place in the Velodrome on Queen Elizabeth Olympic Park. This portrayed some of the greatest sports innovators pitching and investors pledging their financial support. As a Student Ambassador, I wasn’t just involved in business events, but also academic. The most significant for me was serving as academic and administrative assistant for Dr. Matt Vidal. This exposed me to a wide collection of vital academic resources which I couldn’t have imagined existed. I found the process very interesting and exciting to be a part of. I particularly enjoyed engaging with visitors and prospective students by working on call campaigns and conducting campus tours. This enabled me to meet and speak with many people from all around the world, such as from Argentina, Belgium, United Arab Emirates, USA and more! 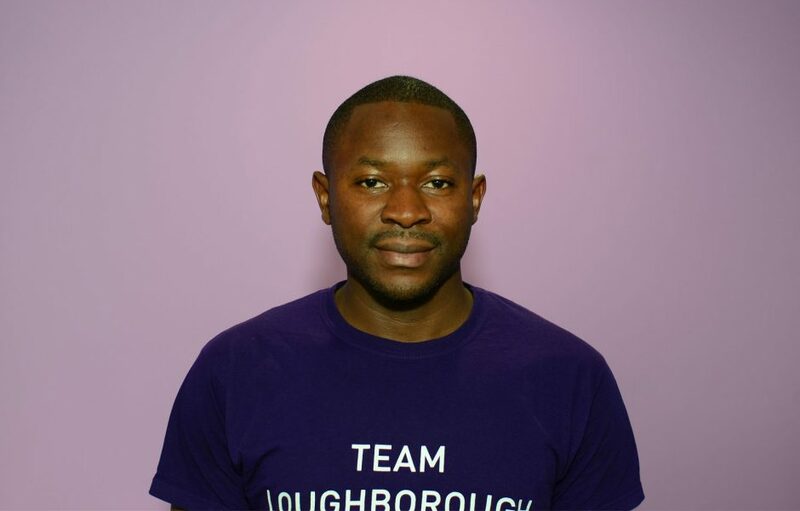 Feeling immediately comfortable with the people I encountered, alongside improving my personal and professional skills that I can add to my CV, were all due to the experiences I had as a Student Ambassador and student at Loughborough University London. Looking back on my time at Loughborough University London, I have had the most amazing experience! Everything has been great; however I put my incredible time here down to my awesome Student Ambassador colleagues and the amazing staff team who provided so much guidance and support to me. These include Charlene Coelho, Amy Cripps-Mahajan, Stacey Balsdon, Adam Adesina, Ben Cole, Bex Davis, Jon Linnell and many, many others. I would recommend this University to anyone, as well as the Student Ambassador role. The academic year runs so quickly, so make sure you don’t take it for granted! 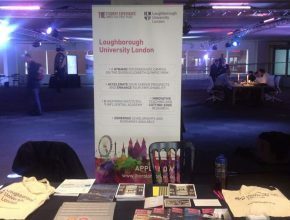 Loughborough University London would like to thank Aris for sharing his Student Ambassador experience. To find out more about being a Student Ambassador and how to apply, please have a look at our webpage. The deadline for applications is midnight 14th October and Interview dates are between 22nd – 24th October. Successful applicants will find out 26th October.